- Ideal for musical keyboard and PA Application. - Sturdy construction and excellent finish. Specially designed Woofer Cone for bass effect. The PA Woofer provided by us is well known for its ease of use and durability. The speakers are well known for their lengthy working lifespan and unbeatable efficiency. These help in the accurate reproduction of audio. 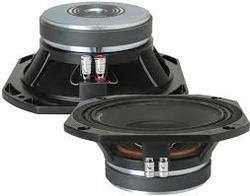 Relying on our expertise in this domain, we are into offering 4 Inch Woofer. - Ideal for PA Application. - High quality power woofer for best audio preformance. Jingle Zone Animation Pvt. Ltd.
We at MOSGATE, design and manufacture high end audio systems for all complex professional applications. 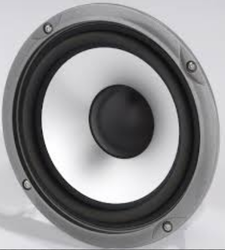 MOSGATE offers various types of sub woofers for all complex applications. - Ideal for PA Application.Sturdy construction and excellent finish. High quality power woofer for best audio performance.